It’s amazing how much your priorities change once you become a parent. A new father who once swore he’d never give up his vintage, high-performance Camaro suddenly finds himself shuttling a precious new life around to doctor’s appointments and play dates. 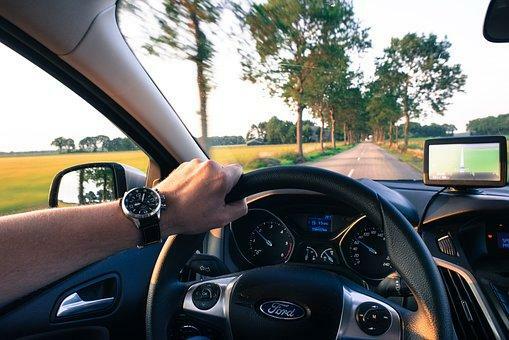 Before you know it, high-performance driving quickly gives way to safety features, good gas mileage and a conservative attitude behind the wheel. Remember, no matter how careful you are, a car is still a dangerous thing, and never more so than when a little one is in the back seat. Here are a few safety tips to consider the next time you fasten your pride-and-joy into that child safety seat and head into traffic. This may seem an obvious point, but there’s more to it than not hitting the gas when the light turns yellow. When your child is crying, your impulse may be to turn and check on her, but if the car’s in motion, you’re asking for trouble. Wait until the next exit or pull-in before devoting your attention to your little passenger; when you’re behind the wheel, all your attention should be on driving and what’s going on around you. Remember how short your reaction time is, and how quickly a bad decision can lead to a crash. Put the smartphone down until the car’s in park and the engine’s off, and do the smart thing if you start to get the head-bobs – pull off and rest your eyes with a short nap before resuming. One smart decision can make the difference between life and death. Few parts of a car are more important than the brakes, especially when there’s a little one on board. Pay attention to how your brakes feel and perform in traffic. If they feel mushy or they’re making a high-pitched squealing, clicking or crunching sound, you definitely need a brake job. If you need new brake pads, opt for a quality brand so everyone stays safe when you do have to hit the brakes hard. Are you the kind of driver who laughs when the “check engine” light comes on? Performing regular maintenance and responding when your car’s computer says something’s not right is part of being a responsible driver and a good car owner, especially if your family has recently expanded. Take a careful look through the manual to find out when you’re due for oil changes, when filters should be changed, and what to do when a brake light or turn signal is out. If your windshield wipers are leaving the wind shield streaky, get the blades changed as soon as possible. Impaired vision when you’re going through an intersection or changing lanes at high speed is extremely dangerous. Set up regular appointments at the local garage to have every component that keeps your car running safely checked. Your car will take care of you if you return the favor, so avoid slamming on the brakes at the last instant. Get an oil change at least every 5,000 miles (using the oil that’s recommended for your vehicle), and pay close attention to the wear and tear on those tires. If the tread’s looking like a flat surface with little or nothing left to grip the road, it’s time to head for the nearest tire dealership. Of course, you can control this by having your tires rotated regularly, at least each time you go in for an oil change. This will ensure that all four tires wear evenly and reduce the likelihood of a blowout. Being a safe driver means making wise decisions on the road and when it’s maintenance time. Your vehicle is a very important investment, not just as a means of conveyance, but as a safe place for your child. Go the extra mile to make sure that it is safe. Parents have you tried KidRex? The search engine sits on top of Google’s search technology with the intention of only bringing back results that are child-friendly. You may want to think about this as an alternative. SafeBee’s mission, simply put, is to make the world a safer place. This site offers articles, tools and advice to provide information to protect yourself, your family, your home, your pets, your money and your personal data from everyday — and unexpected — threats and hazards so you can live a happier, healthier, more secure life. The website is authored by UL, the leading developer of safety certification standards and a leader in safety education. Find out what bit you, how to tell if an egg is bad, 13 health symptoms dog owners should never ignore, when you should or shouldn’t call 911, how to tell if chicken is bad, if your kids shoes are hurting their feet, the truth about cracking your neck and if yorgurt goes bad. As a parent, do you know how to prevent injury? Explore what steps to take in an emergency if your child gets an injury falling on a bike to overexposure to the sun. The site provides the steps that parents should take in case of emergency and ways to minimize risk for themselves and their children. Where Do You Dispose of a Car Seat? Do you live in the Cleveland, Ohio area and have an old car seat you need to dispose of? Car seats have expiration dates and they only last a few years. Instead of throwing it out, have you considered recycling it? If so, here are some car seat locations in the Northeast Ohio area. Are your kids car seats setup correctly? If you need help check out AAA’s Safe Seats 4 Kids as the go-to resource on child passenger safety. On the site, you will find helpful tips on proper car seat selection and installation, which are important in keeping kids safe while traveling in vehicles. It features expert advice, recall information, how-to videos, state law information, fun activities for kids from Fancy Nancy and Flat Stanley, and more! Do you need a way to keep track of and limit what your kids do on your computer? The site sayds, “KidsWatch parental control software is your fastest and easiest solution to safeguard your children’s’ Internet experience and maximize the efficiency of the time they spend on the computer. Set computer usage time limits, by child, ensuring homework is a priority.” I tried it out recently and it work fairly well. There are two different versions, one that limits time and the other that can also restrict what your kids do on the computer. It’s only good on a PC and your purchase requires an annual renewal. I am fan of buying software once, but perhaps I’m just old school. Do you know the parental TV ratings? Each time a TV show begins the symbol flashes in the corner to help you to determine if a program is suitable for your child. Below are the current TV ratings. Also below are a few tips from the website regarding curbing your TV viewing habits. I found this informative video that LinkedIn posted regarding safety on their social network. As Leading Hands Through Technology has repeatedly stressed, the best way to use social media is to continually monitor your digital footprint. LinkedIn is referred to as the business professionals network and as the go-to resource for career building. My rule of thumb is to only connect with people that I have personally met or exchanged a business card.